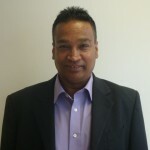 Phylix Selvadurai is the managing partner of Moreland International – Canons Park and he was the founder of Moreland International Golders Green in 1993. He was a trained accountant and moved to real estate business in 1988 and since then he has been involved in all types of real estate business including financial services. 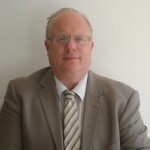 He specialises in investment properties and property developments. Within the last 15 years he has been involved in number of various development projects and all of them have been successfully completed to the highest standard. For the company he manages the overall activities of the entire business. Having worked in the property business for over 20 years mainly for local Independent Companies and also for several years for a large national corporate company at management level and winning several awards I feel it is very important to offer clients a top level service as they have put all their trust in you to market their biggest and most valuable asset “Their Home”. Many clients over the years have come back to me several years later as I am the first agent they call back to market the next home they are selling several years later. It is a tremendous boost for me knowing that the service offered previously were not forgotten. Ms Dilu Perera is an experienced property professional who had worked for the last 10years within various departments of Moreland International. Her career started with real estate sales division then to lettings and finally she now settled in the property management division. 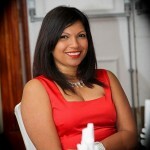 She is wholly responsible in handling all property management matters including handling all landlords and tenants. In additional to this she also supervises the overall administration of the office and she in the current office manager with various responsibilities.